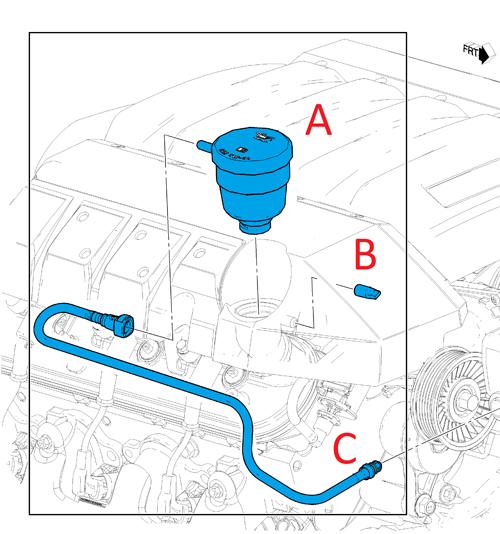 The increased handling performance of the 2013 Camaro with the 1LE performance package can generate some off-road or track conditions where engine oil can be ingested into the air cleaner through the fresh air tube that connects the port within the right valve cover to the air cleaner. The Chevrolet Performance Positive Crankcase Vent (PCV) oil separator kit can improve this condition. Its a standard part of the 1LE performance package. 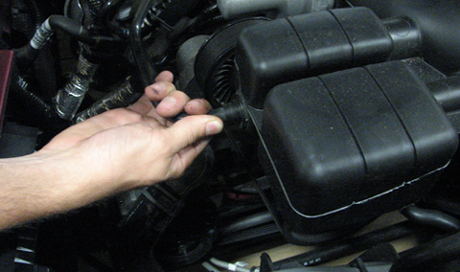 The Camaro 1LE PCV Oil Separator Kit (part number 12653073) is included with other packaged components in the vehicle. It should not be installed during PDI at the dealership. The kit and instructions should be kept in the car. Owners are responsible for installing the oil separator in the car for track use. 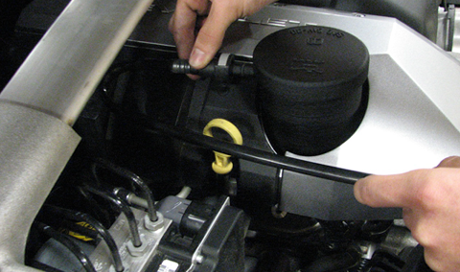 The Camaro 1LE PCV Oil Separator Kit is designed for off-road or track use only. The production PCV system should be installed back on the vehicle when driving on public roads. The Camaro 1LE PCV Oil Separator Kit is not designed for winter driving conditions (ambient temperature should be above 32° F, 0°C). For information about other available Chevrolet Performance parts, visit: www.gmperformanceparts.com.